The Destiny of One: The Destiny of a Few Blog tour!!! 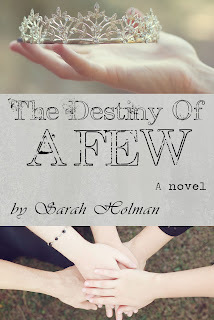 The Destiny of a Few Blog tour!!! Here is a sneak peek at the cover design! Yes, the anticipated sequel to The Destiny of One is coming soon!!! Would you like to help promote this book? My goal is to have twice as many blogs participate in this blog tour as did in The Destiny of One blog tour. Would you like to help me? Send me an e-mail or leave me a comment that you want to be part of it, and then ask a blogging friend to join the tour as well. Love the cover art! I'm so excited and proud of you!